All camp quilts for 2010 have now been collected! Thank you to everyone that helped keep those larger quilts coming in. Please remember, that just because summer is over, it doesn't mean that the need for larger blankets has ended. 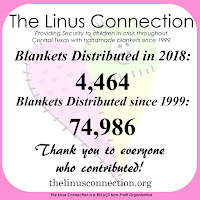 The Linus Connection collects blankets for preemies through high school aged students. When school starts in August, we'll once again have large requests for blankets for teenagers. 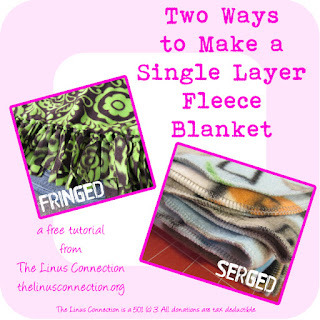 Unlike camp, blankets that reach children in crisis through the local school districts can be quilts, yarn or fleece. Thanks to Honey Bee Quilt Store, the stores that participated in the 2010 Bluebonnet Shop Hop donated all the blocks received from the Shop Hop Challenge to be used for Camp Braveheart quilts! Michael Miller Fabrics donated fabric to help create these beautiful quilts, which were put together by Linus volunteers and Honey Bee Quilt Store customers. 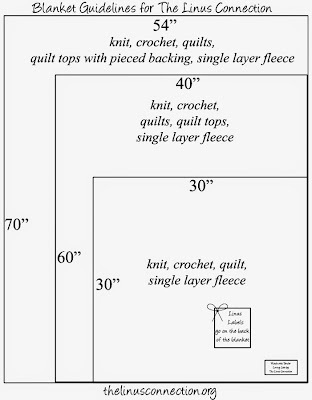 For more about the Shop Hop quilts and to see close up photos of all 30+ quilts, please visit the Honey Bee Quilt Store photo album. There will be a Honey Bee Work Day in August. 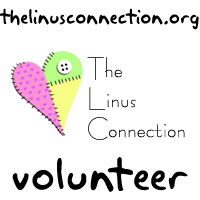 Please keep an eye on the Linus blog, Yahoo! Group and/or Facebook for more information! Blankets were shown and donated on June 19, 2010. They are not necessarily being shown by the person that made them. 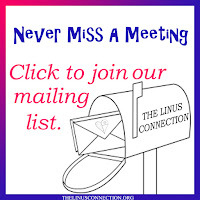 We encourage you to join us at our monthly meeting and participate in Show and Tell at 10 a.m. A free demo follows. The final crayon block quilt was created by children at Canyon Creek Elementary. Linus again received some wonderful thank you notes! You can click on any of these images to enlarge. Linus Volunteer Mardi Shared a story with us about a Linus quilt that will be hung in a brand new library in Kosovo. Click to enlarge and read Mardi's notes.